Today's activity has been a smashing success with my son... so I had to share. We've been playing it for two days now. 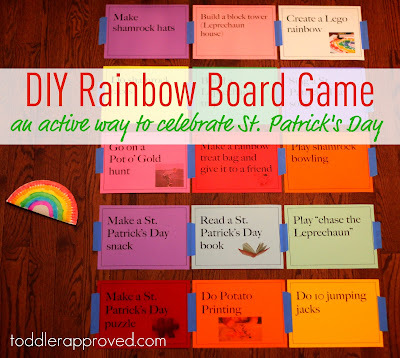 It is basically a compilation of loads of fun St. Patrick's Day activities that we love. I am sharing the printable game board pieces that I made below. They aren't really complex, so you could easily make your own personalized game board with some rainbow cardstock and a Sharpie. 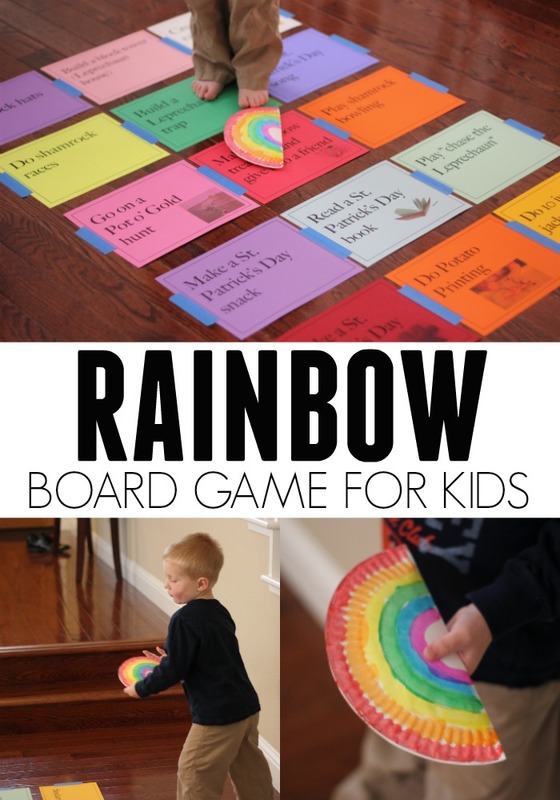 The goal of the game is to toss the rainbow plate "bean bag" onto the game board. When it lands, you read the activity, and then get started doing it! You could play this game over and over again. We start it up every time we have some downtime at the house. If you missed it above, you can download our Printable Game Board Pieces here. 1. Print out or make gameboard pieces and tape them to the floor. 2. Create a rainbow paper plate "bean bag"
Throw the bean bag again! Some other activities included in our game are listed below... What else would you add? 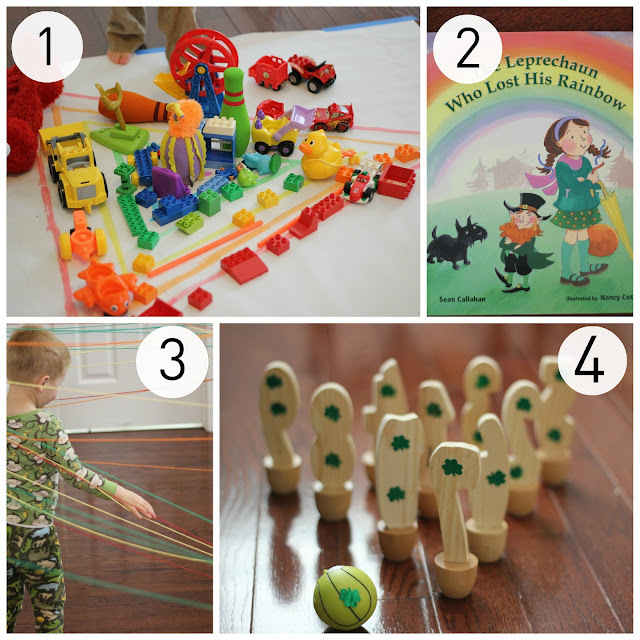 What are your favorite St. Patrick's Day activities? What a neat way to choose an activity!